One-sentence review: While this story of 32-year old widow Laney Secord's love triangle with a 16-year old and his father is definitely an interesting (albeit limit-pushing) premise, it lacked the emotional support and character depth to pull it off successfully. Fenton Grace's Monday, Sunday chronicles the sordid love affairs of 32-year old widow Laney Secord. Laney's husband passed away shortly after she had an affair with his best friend leaving her incredibly guilt-ridden and empty as she tries to raise their seven-year old son alone. When 16-year old Eagle Scout Christopher comes to Laney's door asking for donations and ends up kissing her, it kickstarts a messy turn of events she wasn't expecting, including Chrisopher's father, Bill, showing interest in her as well. I wanted to read this book because the storyline was so controversial I knew Fenton Grace must have had an excellent plan of executing such a boundary-pushing topic. While Grace's writing is skilled mechanically, unfortunately I felt the execution missed the mark and I finished this book feeling underwhelmed. I never felt anything emotionally from Laney that could justify her lust for a 16-year old boy and I never felt any connection between her and Bill to justify him even being a part of this story other than for an added complication. Overall the characters felt very one-dimensional, which is somewhat understandable since this is from Laney's point of view, but even she felt somewhat sterile and mechanical. I wouldn't even classify this as any type of true "love story" because I didn't feel any emotions other than perhaps Laney's emotional void, if that counts. This void is understandable given her husband's death and everything but I couldn't connect the dots of justifying either relationship with Christopher or Bill. The only thing I felt from Christopher and Bill is lust and perhaps intrigue, like Laney was something fun to explore at the moment. I'm sure all of this could be deeply analyzed, but unfortunately I was too underwhelmed by the conclusion to care. All of that isn't to say it's a bad book just because I didn't enjoy the storytelling: the prose is well-written and Grace is clearly a skilled writer. Furthermore, even though I didn't think the overall story was executed well enough, I still think the content raises great discussions. It's a story that is sure to make most readers uncomfortable, especially because Laney isn't black and white; she isn't all good or all bad. It's easy enough to put ourselves in Laney's shoes and see how she gets where she does. While we may not all make the same choices as she does, we can agree she is a fairly average and relatable person. Furthermore, this story helps us examine our own values systems against Laney's and also examine our need for love, lust and adventure to take us out of the monotony of life. It asks the question what lines are we willing to cross to fill either of those voids. While this book wasn't necessarily my favorite, I think it may still be enjoyed by many who like something out of the ordinary. It's a very quick read and as I mentioned, well-written. If you think you may like to examine the mind of Laney Secord, I think you should definitely give it a read! Love did nothing but break down defenses, and I could not afford that. One-sentence review: For a book I really don't think was necessary to be written, I was very heavily entertained by this addition to The Selection series even if I thought the main character was terribly annoying. I kind of feel like Kiera Cass needs to write something new already. I know I'm going to get so much hate for saying that, but The Selection has been done, it's over, it was cute, so move on. That was exactly my thought process getting into this book and I can't say that reading it has made me change my mind too much, but I'll admit I need the next book in this series ASAP. Oh Kiera Cass, look what you do to me! 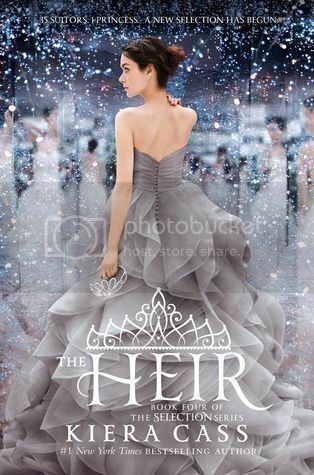 While The Selection and its two sequels followed America on her journey through the Selection to become Queen of Illea, The Heir follows the same journey of her daughter, Eadlyn only on the opposite end of the competition about twenty years later. Illea is now caste-free but the new generation is angry for some reason about it. Even though the Selection as a mandatory way for the heir to find a spouse has been eradicated, America and Maxon ask their daughter, the future Queen, if she would be willing to participate in order to distract the country and make them happy. Eadlyn very unhappily agrees and finds herself in the middle of something changing her in all the ways she expected and wanted to resist. First off, I really dislike Eadlyn. She is so selfish, self-righteous and self-absorbed that I could never truly sympathize or care about her. If this were a movie I think she should be played by Kendall Jenner or another Kardashian/Jenner because then viewers will be used to the whole poor-little-spoiled-girl routine. Fortunately, I think Cass meant for Eadlyn to come off as not-so-nice, especially in contrast to her mother, America's Selection story. But this cold, selfish heroine act definitely affected the way I read the story. She's just so out of touch with reality and unaware of how spoiled she is that I found it difficult to cheer for her happy ending. Different from the original Selection, there isn't just a love triangle, there's a whole love-octagon... or whatever shape has as many sides as Eadlyn has potential love interests. I definitely have my favorite and runners-up, but it's actually pretty difficult to see who the front runner is for the winner of the Selection. Which, if you haven't realized, means yes - there will be more Selection books. The Heir does not end with a winner or any sort of conclusion. I can hear the cheers and groans alike. Regardless of whether the new generation of characters is worth reading or not, fans of the original Selection will be pleased to see all of their beloved favorites interact. My favorite was seeing Aspen and Maxon in one touching scene, and Aspen and America during some exchanges. I will say it is extremely satisfying to at least have that sort of epilogue regardless of the rest of the content. The rest of the content is not all bad and obnoxious though; quite the opposite if you can get past Eadlyn. Many new characters, especially the rest of America and Maxon's kids, are colorful, rich with depth and, as always with Cass' characters, have hilarious interactions and dialogues with each other. Eadlyn's twin brother might be one of my favorite characters Cass has created and I look forward to seeing if he will play a major role in the next book. The relationships Eadlyn builds with the boys in the Selection are filled with all of the fun character building elements that Cass is exceptional at and always makes her stories fun and enjoyable. If you liked the original Selection trilogy, you will surely appreciate all of the similar elements in this continuation, even if it's still annoying that this story won't end. As for me, I will keep this series as my guilty pleasure that continues to ultimately entertain more than it annoys. If you're an ant, and you're walking across the top of a cup of pudding, you probably have no idea that the only thing between you and disaster is the strength of that pudding skin. One-sentence review: Jack Handey's particular brand of sarcastic, ironic and often exhausting humor is not for everyone but I can guarantee it's funny and you'll find yourself laughing through this book no matter your comedic style. I've been in a sort of reading slump lately. Can you tell by my lack of reviews?! I am so disappointed in myself for missing my first review in close to 3 years! I'm surrounded by great books but I've been too busy or exhausted from being so busy to really enjoy them. I was complaining to my husband about it and he recommended one of his favorite authors, Jack Handey, but he teased that I probably wouldn't like his work. When a serious reader is told what they will not like, they almost always accept the challenge to prove said provoker wrong. So, of course, I accepted my husband's challenge. He bet me $20 I wouldn't really read it. 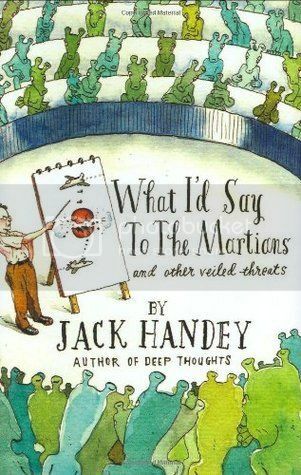 Jack Handey's What I'd Say to the Martians and Other Veiled Threats is his first compilation of short humorous stories that highlight the brand of comedy Handey is known for cultivating. Best known for his signature Deep Thoughts comedic one-liners which were featured on Saturday Night Live, Handey brings the same absurd humor to this collection (which actually includes his favorite Deep Thoughts). If you're not familiar with Handey's style of comedic style, perhaps breaking down some of my favorite and least-favorite selections from this book will give you an idea of what to expect. My favorite story is called "My Third Best Friend" in which Handey explains that his wife is his third best friend. I'm sure this is my favorite because my husband recommended this book to me, so now I always ask him if I'm his third best friend. The story is ironic because obviously the narrator's wife is way more devoted to him than his first and second best friends; his first being his co-worker and his second being his college roommate he doesn't even talk to anymore. He tells an elaborate and hilarious story of how his wife saved his life (one of many times) and yet she still only ranks third. If you're trying to decide if Handey's humor is right for you, I recommend reading this story and gauging your reaction. Similarly, "My Nature Documentary", is another of my favorites. The narrators in all of Handey's works have very little sense of self-awareness which is the basis for most of the humor. This story in particular is basically a narrative storyboard of a nature documentary in which a giraffe and a monkey are separated best friends. The story is cute, but made hilarious with the stage direction. For example, one of the notes about a scene where the giraffe must laugh states "(choke giraffe and dub laughing sounds)". In a scene where a monkey is supposed to be praying, the stage direction says, "(glue monkey's hands together to show praying)". It's this over-the-top detailed humor that really makes Handey's comedy particularly special. There are also some chapters on Handey's infamous "Deep Thoughts" which are another area you might want to read to gauge whether you will appreciate his writing or not. I made the intro quote above one of his Deep Thoughts mentioned in this book so you can see if you think it's funny or not. My least favorite stories all had the same thing in common: there isn't a real story line or succinct concept that was able to hold my attention. "Lowering My Standards" was probably my least favorite in the book, I was bored reading it. Similarly, Handey's To-Do List featured was incredibly excessive albeit funny. But that's probably why Handey is so funny: he's excessive and he goes all the way with his humor, carrying it for much longer than the average comic writer. In many cases this brand of humor is wonderful, but for me sometimes it became daunting. Overall I really enjoyed this book of humorous stories and I won't shy away from Handey in the future. I'm anxious to read his novel, The Stench of Honolulu, to see if his humor will translate well in a longer format! 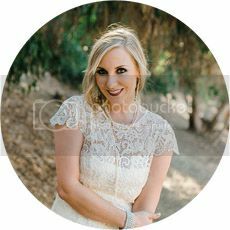 I'm a southern California reader who reviews books for fun and enjoys making friends in the process. These are my books, this is my life. I hope you'll become a part of the adventure! All books copyright of their respective authors, all reviews are 100% my opinion. Powered by Blogger.